Home to Samuel Pepys in the 1680s, the building housing Gordon’s is now home to a regular, thriving crowd of drinkers of all ages and all walks of life, united in their love of this unique venue and of good wine. Buried deep and dark beneath the streets with only a small doorway and a subtle sign indicating its presence, Gordon’s Wine Bar is one of central London’s best hidden gems. The subterranean setting is accessed by a steep, wood-panelled staircase which leads into a rickety old room plastered with centuries old newspapers cuttings and dusty wine bottles. Once you’ve made the somewhat perilous descent, be prepared for a crowded crawl to the bar through throngs of office workers supping on glasses of vino. Having chosen your tipple from the award-winning wine list, head right to the back and find the low-ceilinged arches, under which tables and chairs huddle together, bathed in gentle candlelight. You’ll probably have to wait a while for a table, but there’s no great hardship in propping yourself up in a corner and waiting for one to become available or, alternatively, asking to share the corner of someone else’s. There's also a stretch of outdoor seating with brollies and heaters provided. Gordon’s wine list includes a wide-ranging collection from the New and Old World, to suit any palate. The friendly Gallic bar staff know their stuff, so don't be afraid to ask. Sturdy tumblers of port or sherry served straight from casks behind the bar are an unusual but welcome detail as is the delicious, home-cooked food available (try a plate of pongy cheese, some pate or a hearty ploughman’s). The oldest wine bar in London, this friendly, family-run establishment has resolutely resisted change and its merit is demonstrated by its immense popularity. There’s certainly not enough room to swing a cat here, and probably not even enough to open a newspaper, but this is all part and parcel of drinking at Gordon’s. Enjoy, but remember you’ll have to climb back up those steep stairs on your way out. Gordon's Wine Bar clubs, bars, cabaret nights, casinos and interesting nightlife. 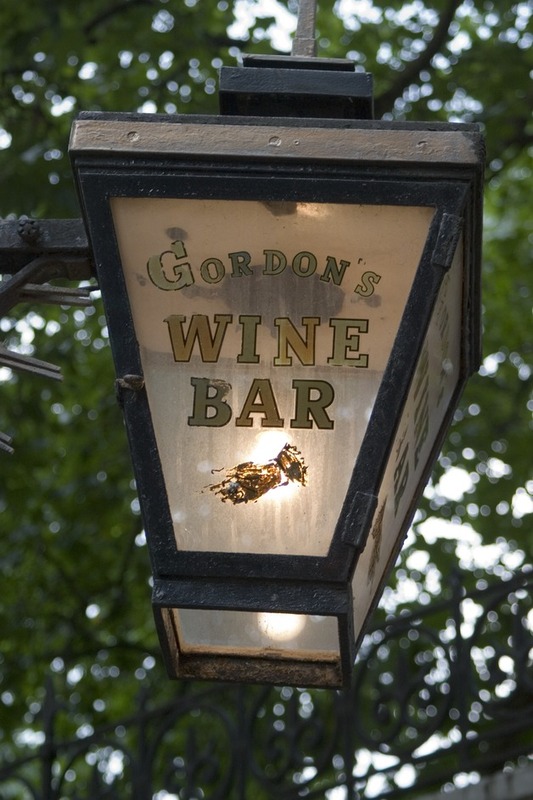 What are the best dining options near Gordon's Wine Bar London? Gordon's Wine Bar gyms, sporting activities, health & beauty and fitness. The best pubs near London Gordon's Wine Bar. Where to have your meeting, conference, exhibition, private dining or training course near Gordon's Wine Bar. From cheap budget accommodation to luxury 5 star hotels see our deals for Gordon's Wine Bar hotels, including Corinthia Hotel London from 97% off.